Rediff.com » News » PHOTOS: They passed with flying colours! PHOTOS: They passed with flying colours! They passed with flying colours! 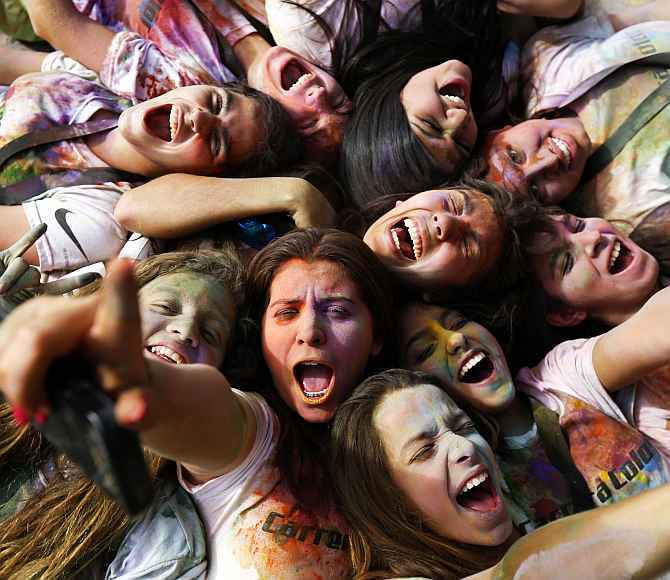 No, these aren’t exactly pictures from some firang Holi party. 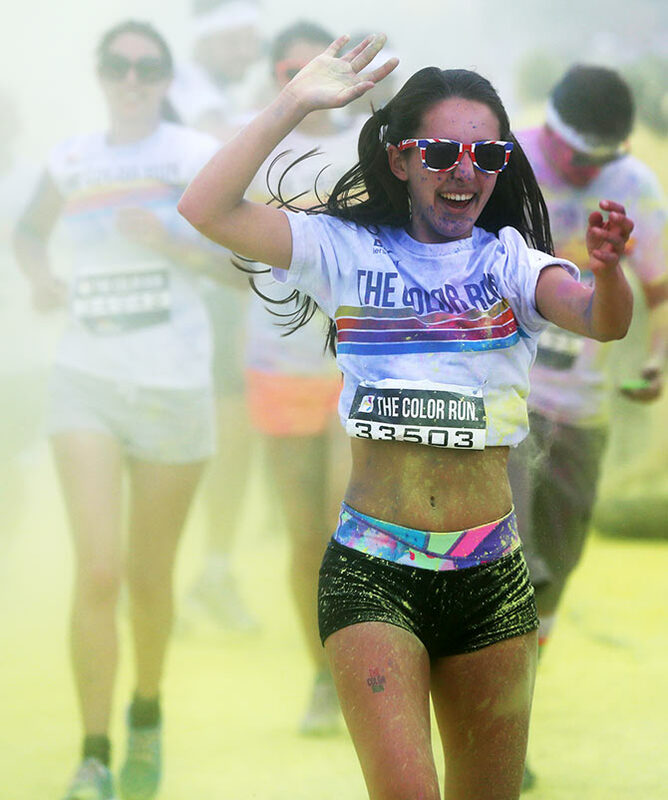 The Colour Run is a five kilometre, un-timed race, held in cities across the United States and also worldwide, with the aim of promoting healthy living, and the organisers choose a charity to benefit in each of the cities the run visits. 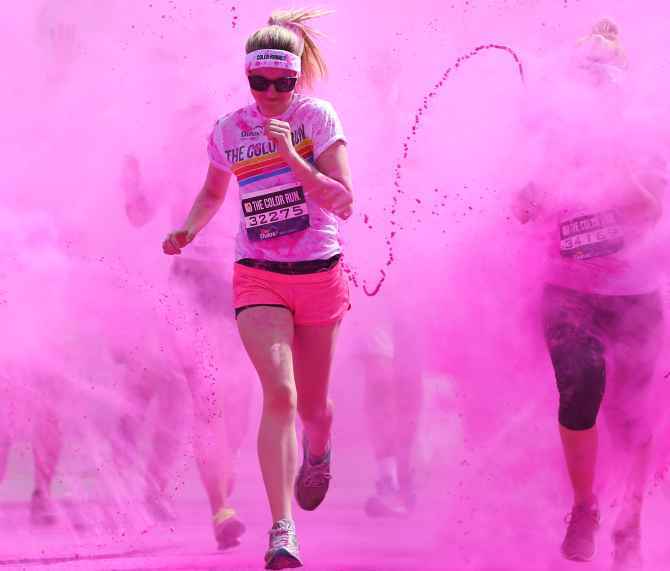 Participants are doused from head to toe in different colours in the race -- also billed as the ‘happiest 5K on the planet’. “If you are in this for a real RUN, you will likely be frustrated once it begins. People tend to stop and go and take selfies along the way, making it difficult to get a good, consistent running pace going. You can pretty easily avoid the colour if you want to... but that's no fun,” gothamist reports. 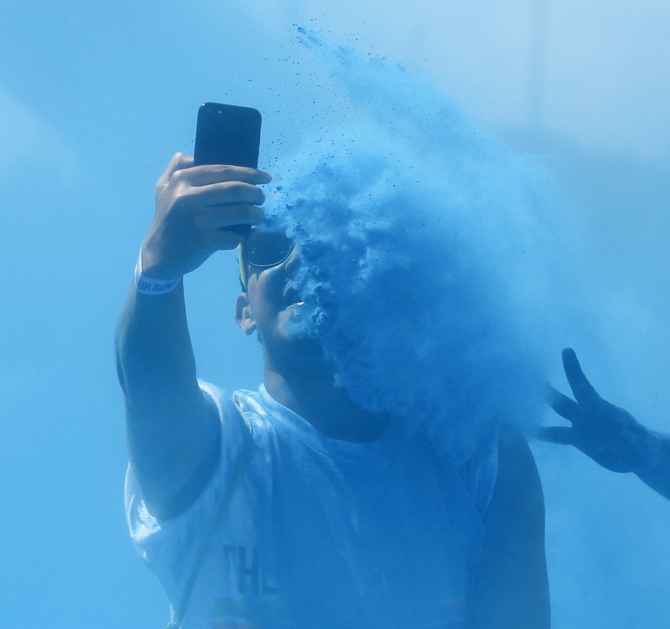 We bring in fascinating photographs from Colour Runs organised across the globe. Enjwaay! Image: Participants are covered in paint as they take part in the Colour Run in London on June 1. Participants are covered in paint as they take part in the Color Run in London. 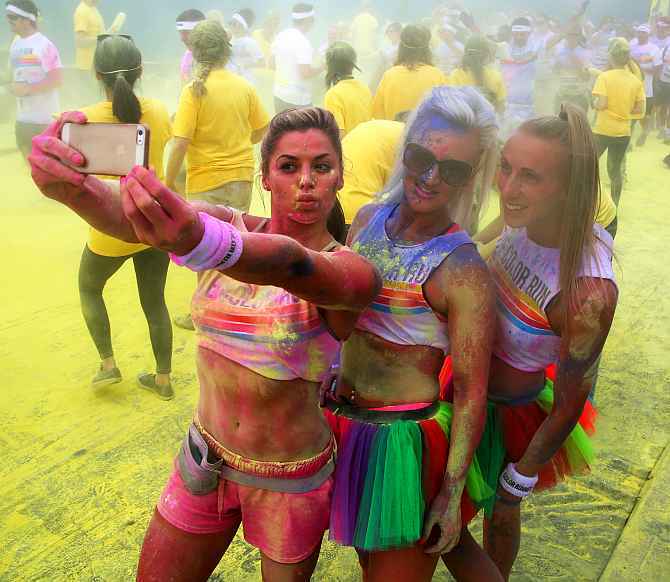 Participants pose for a 'selfie' photograph as they take part in the Colour Run in London. 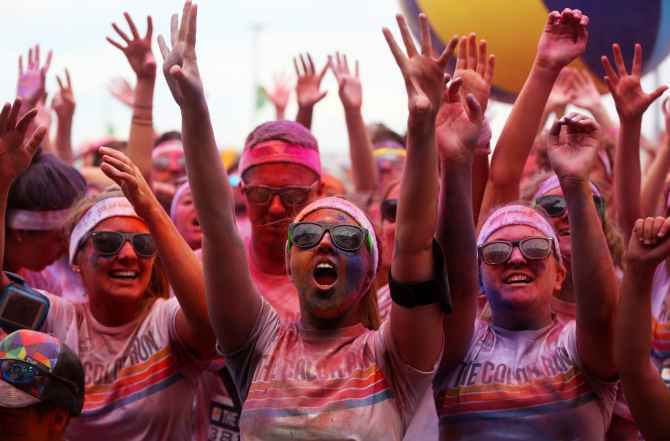 Participants dance to celebrate after taking part in the Colour Run in London. A runner is picked up by a friend as they are sprayed with cold water after finishing the Colour Run in London. A woman covers herself in paint during the Color Run in London. Participants are covered in paint after taking part in the Color Run in London. 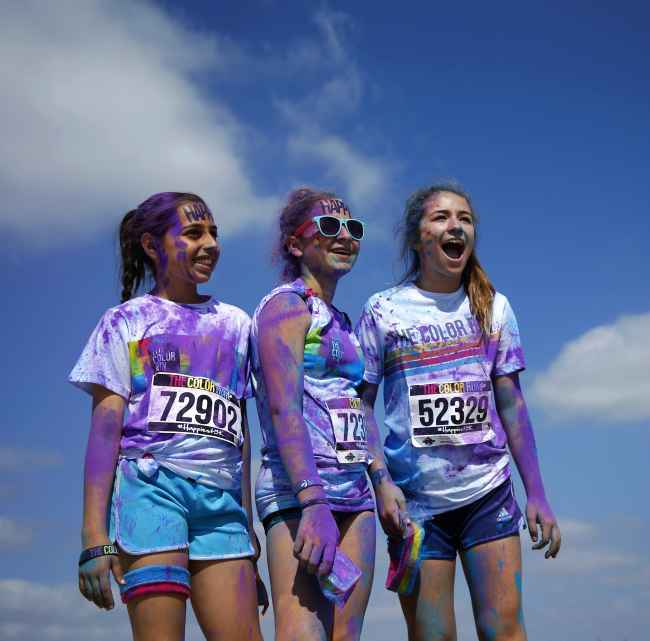 Competitors pose for a photo after running through coloured powder at the Orange County Color Run in Irvine, California, on May 10. 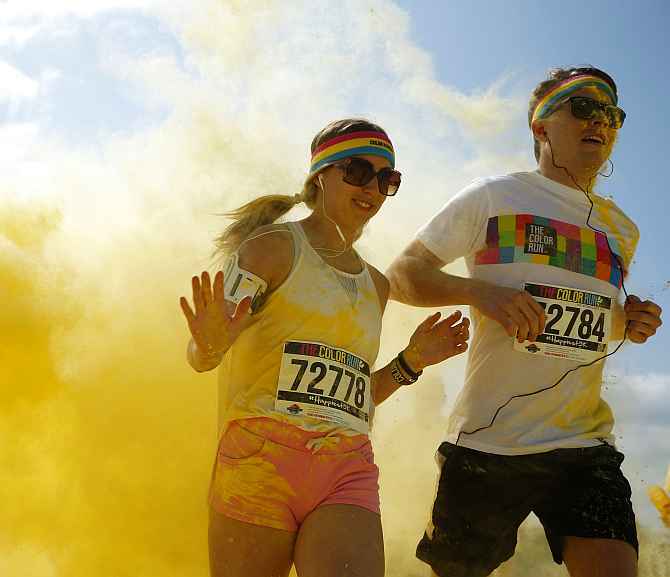 Competitors run through coloured powder at the Orange County Color 5K Run in Irvine, California, on May 10. 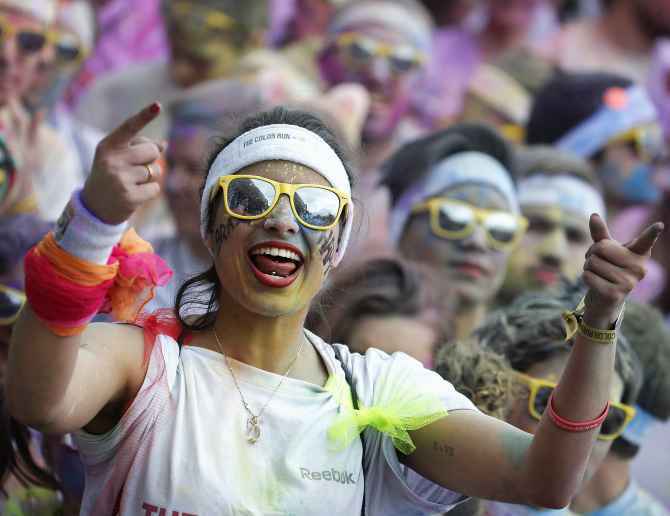 A participant cheers after finishing The Color Run in Paris on April 13. 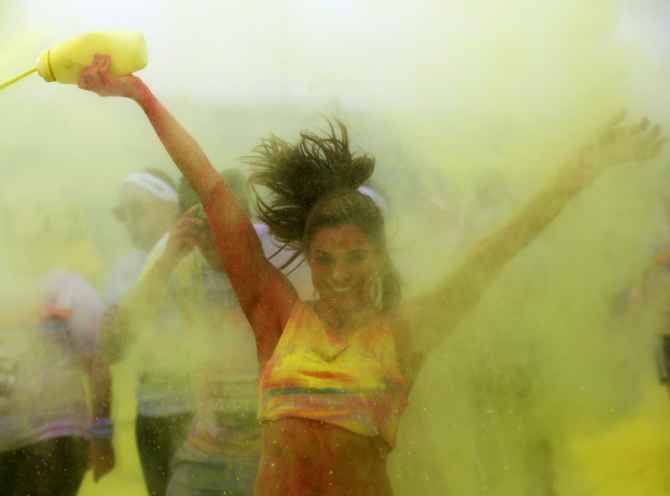 Participants cheer as they take part in The Color Run in Caracas, Venezuela, on December 1, 2013. 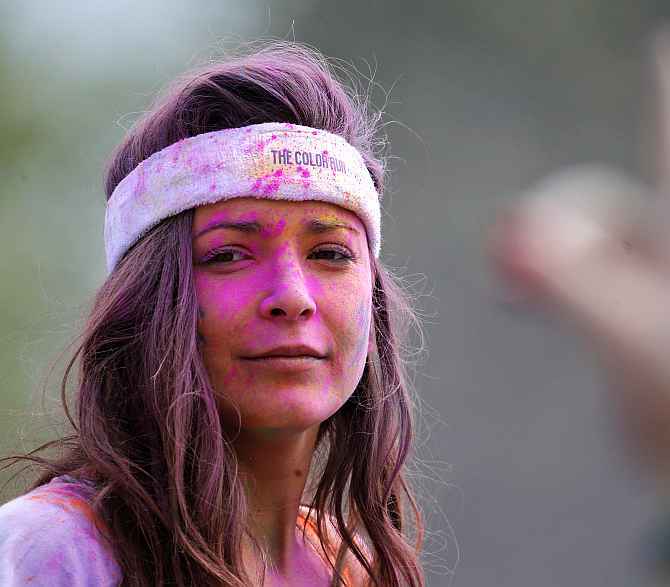 A participant doused in coloured powder looks on after completing The Color Run in Paris on April 13. 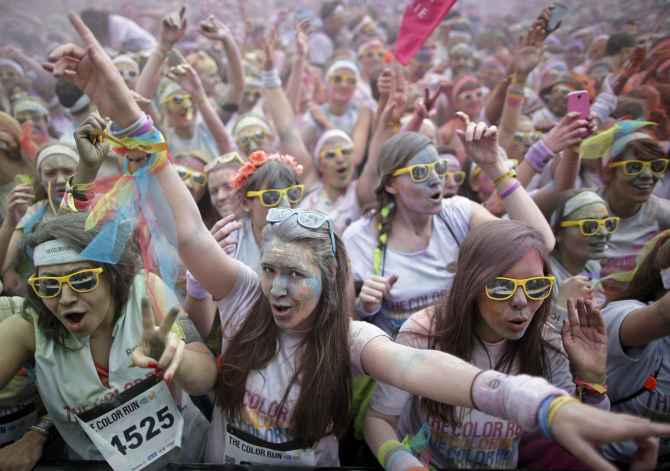 Participants cheer after finishing The Color Run in Paris. 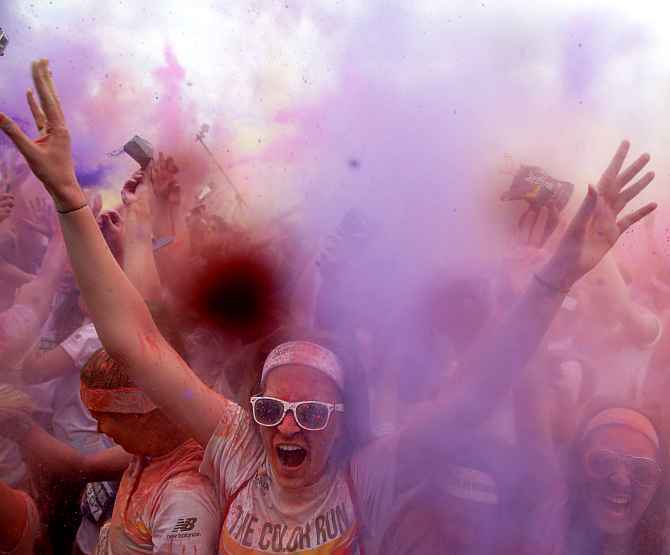 Participants cheer as they take part in The Color Run in Cali, Columbia, on November 3, 2013. 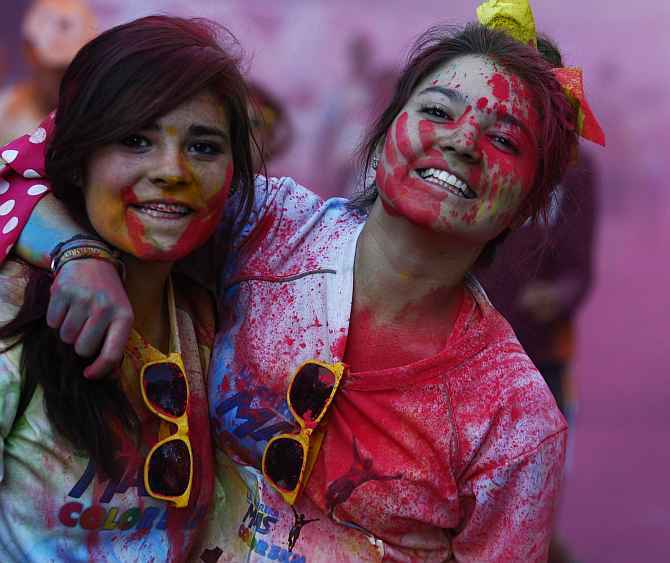 Runners cheer after they finish the Color Run in Mexico City.